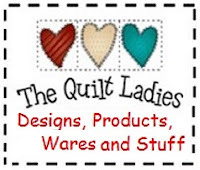 I'm sharing the way "I" do quilt binding. Like everything in quilting there are MANY ways. This is the way "I" do it ! ! Cut enough strips to go around the outside edge of your quilt. Sew all strips together with a 45-degree angle. Open and Press and trim any ends. Do this to make all binding needed. BUT ALWAYS check YOUR BOBBIN THREAD, make sure you have enough to make it all the way around the quilt. NOTHING worse than to stop and fill or change a bobbin! Sew the binding with a ¼ inch seam allowance. Sew the binding with a ¼ inch seam allowance. Stop ¼ from the edge. Back stitch a few stitches. Fold binding back down on to the Quilt. Match up edges. Stop sewing about 4-5 inches from the first end. This is your SEWING line, Sew and trim seam. Continue sewing the binding to the quilt. Pull it over the machine stitches. Blind Stitch, I like to hide my knot in the inside. Single thread, I use about 18 inches at a time. Take a stitch straight across and then back into the binding just a few threads. Stitch all the way into the fold. Push needle through and stitch the front corner seam closed. Push needle through to the back and continue sewing around the quilt. What quilt to make ?? The Ladies Quilt Pattern for You ! Is a Quilt, just a Quilt ? ?